Playstation Network went down over the Christmas period after a group called Lizard Squad allegedly performed a cyberattack on it. SONY HAS BEGAN to make up for its Playstation Network outage by extending subscriptions for premium members and offering discounts for all users. Those who had an active membership or free trial on Christmas Day will receive an extension of five days. If a user’s membership or trial ends before the extension is made available, they will also receive it and will be notified about it. Alongside that, members will also get a 10% discount for the next cart transaction they make in the Playstation Store. The company will send out the codes for these transactions later this month. Playstation Network originally went down after an alleged DDoS (Distributed Denial of Service) attack was performed on it. The attacks stopped after internet mogul Kim Dotcom claimed he stopped Lizard Squad from continuing their attacks on both it and Xbox Live. Back in 2011, a more serious attack brought the service down for nearly a month and saw sensitive information stolen. Sony apologised by offering free games and discounts to users as compensation although it agreed to a €12.4 million settlement in July 2014 after some customers sought a class action lawsuit against it. Meanwhile a man allegedly linked to the group Lizard Squad, which claimed responsibility for the cyberattacks on Playstation Network and Xbox Live, has been arrested in the UK. The arrest was made in connection to cyberfraud offences made between 2013 and August 2014 but the individual has been linked to the group. 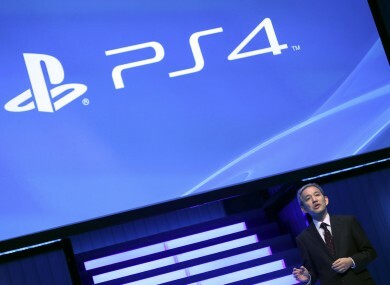 Email “Sony is hoping discounts and extensions will make up for PSN's Christmas outage”. Feedback on “Sony is hoping discounts and extensions will make up for PSN's Christmas outage”.